Mercedes has literally been at the forefront of automotive technology since day one, and they have never stopped innovating. If you aren't familiar with automotive history, these 7 Mercedes-Benz accomplishments will truly surprise you. 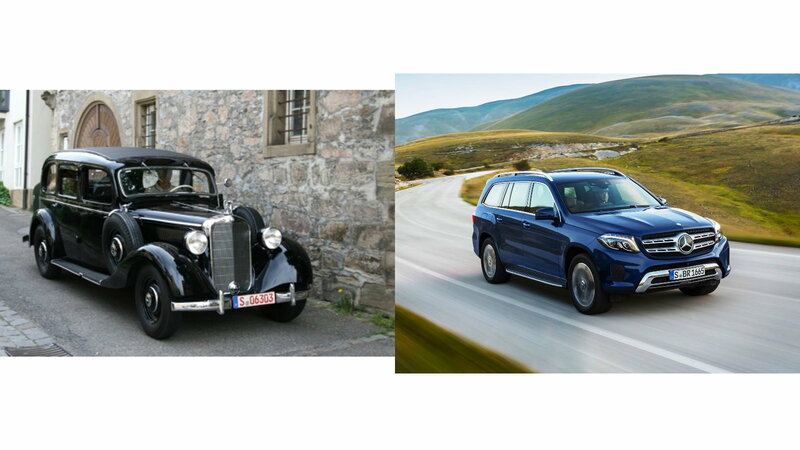 What is the historical basis for the Mercedes-Benz slogan, "The future of the automobile"? The company has been at the forefront of automotive innovation since the 1886 introduction of its patented Benz Motorcar (widely considered to be the first viable production automobile). They have never rested on their accomplishments, and that is supported by ample historical evidence. Let’s look at six other Mercedes technical innovations that preceded their industry-wide adoption by several decades, all but one introduced prior to World War II. >>Join the conversation about Amazing Early Mercedes-Benz Tech Accomplishments right here in the Mercedes-Benz World Forum! 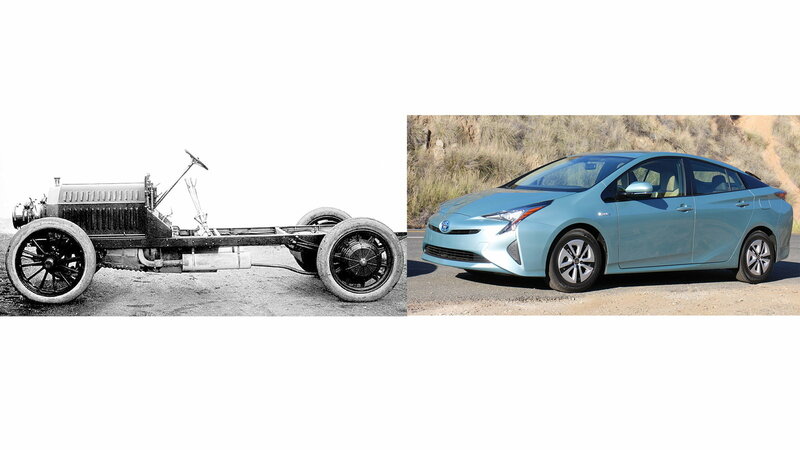 The Prius stands as the pioneer of this important segment, but was it a breakthrough design? Consider the Mercedes-Benz Mixte, a 1906 hybrid design that combined a gasoline engine, an electric generator, and two rear-wheel electric motors to provide its motive power. They were sold until 1914 and saw plenty of use in European cities as taxi cabs. 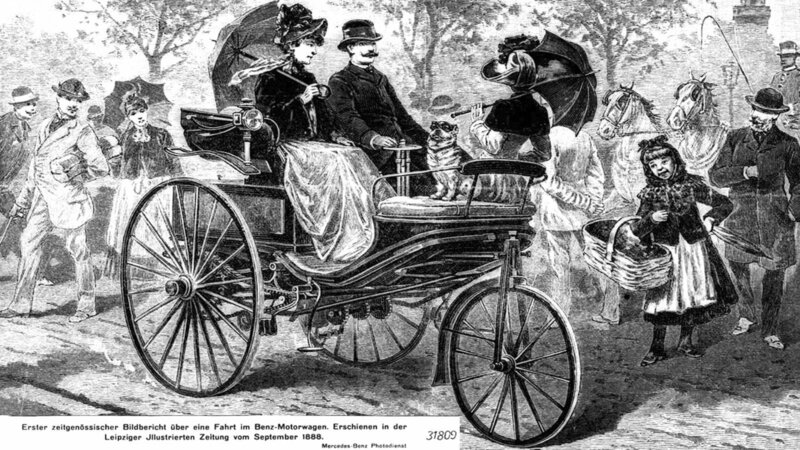 Clearly, if you had been around in 1906, you would have been privy to a 90-year advance preview of the Future of the Automobile! The Toyota Prius may be the first modern mass-produced gasoline-electric hybrid automobile, but the Mixte was the first. The typical internal combustion engine (ICE) has featured one intake and one exhaust valve per cylinder, which though simple and cost effective, tends to limit the size of the valves and flow of gasses in and out. Mercedes-Benz overcame this limitation in its 1910 Benz Special Touring Car by using two intake and two exhaust valves per cylinder, which allowed it to rev higher and breath better. 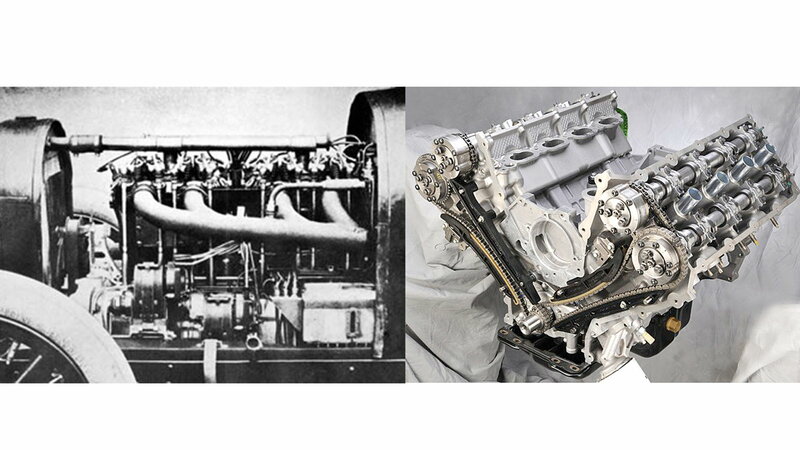 In order to maximize both power and fuel efficiency, Four-valve-per-cylinder designs have become commonplace in modern engines; however, the feature was very rare in production automobiles until more than 60 years after the Benz Special Touring Car had graced the highway. The fundamental design of internal combustion engines accomplishes the intake of the fuel mixture and the extraction of the burned gases through natural atmospheric pressure and the pump of the pistons. 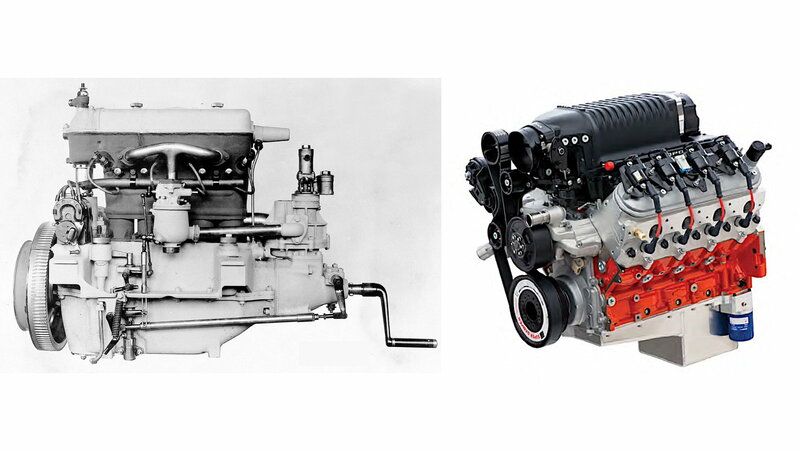 This process is known as “natural aspiration.” A highly effective means of increasing the power of a given engine displacement is by forcing the air/fuel mixture into the cylinders at elevated pressure. This turbo and supercharging technology, although only recently made commonplace was in use by Mercedes before WWII. Visitors to the 1921 Berlin Motor Show experienced a view into the Future of the Automobile when Benz featuring several supercharged production cars among its display models. In the early days of the automobile, cars had solid axles at both ends like the horse drawn carriages they replaced. 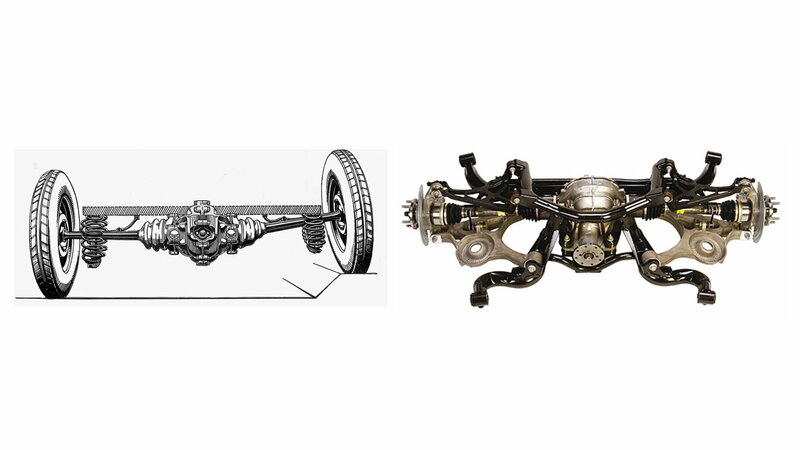 Independent front suspension was quickly adopted as cars got faster and steering needed to be more accurate, but the the driven rear wheels were a solid axle on most cars until the late 20th century. Four-wheel independent suspension systems have several advantages, including a smoother ride and more accurate handling over all kinds of road surfaces. Mercedes-Benz recognized these advantages and was an early pioneer of the design in 1931! Fuel economy became important as a result of OPEC embargoes in the early 1970s and drove an increase in consumer demand for diesel-powered passenger cars. Diesel also has advantages for tax reasons in Europe today and a good number of manufacturers now offer a diesel engine option. Nearly 40 years earlier, Mercedes-Benz engineers had recognized the fuel efficiency, simplicity, and reliability of the diesel and had incorporated the design into the 260D sedan in 1936. Wondering what the future holds for the automobile? History tells us that we need look no further than the latest models from Mercedes. 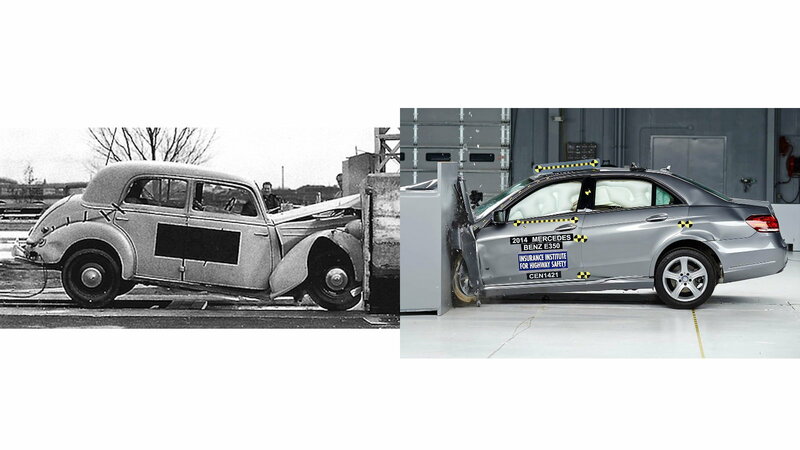 Mercedes-Benz crash-worthiness test program began more than 20 years before most other car companies were doing it. The National Highway Traffic Safety Administration (NHTSA) didn't even begin crash testing vehicles and publishing the results until 1979. By the time the results of the NHTSA crash tests became a significant factor in customer buying decisions, Mercedes had long since optimized its design approach to deliver maximum safety with minimum weight penalties. As with so many other technical innovations, the Future of the Automobile had indeed been previewed in a Mercedes-Benz vehicle. Check the how to section of MBWorld.org for help keeping your Benz in the best shape.